With people becoming more health conscious, brown rice has emerged as a popular product in India and overseas. Brown rice is known to contain both bran and germ along with the endosperm part of the grain. This combination makes it more nutritious than the regular white rice. It is a complex carbohydrate which is also known as ‘slow carb’ hence it doesn’t lead to a sudden rise in sugar level and digests slower than the white rice. Brown rice also contains minerals like magnesium, selenium, manganese along with high levels of fiber content which makes it good for digestion. 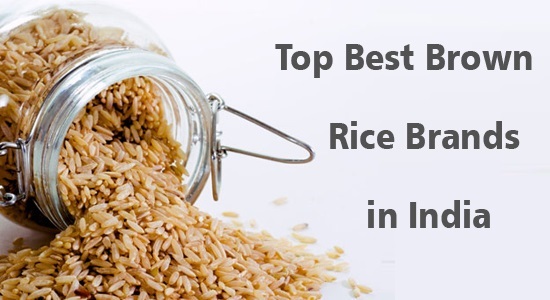 This article unfolds the most popular and best brown rice brands in India which can replace the white rice in your kitchen with a promise to keep your health in shape. Find out what these brands are and stay fit and happy by including them in your diet. 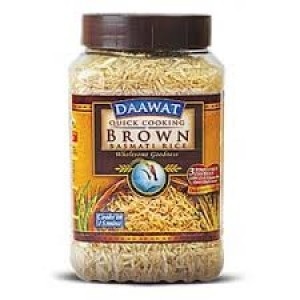 Daawat Quick Cooking Brown Rice ranks amongst the best brands for brown rice in India. It is known to be the only quick cooking brown rice. It is prepared by using the exclusive Hydration Enhancement Technology which helps it cook faster without causing loss of nutrients. 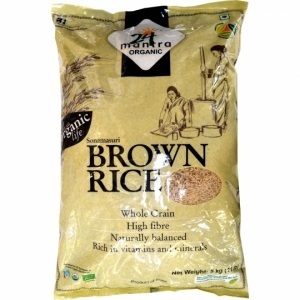 It is tastier than other regular brands of brown rice and comes with superb health benefits. It is rich in fiber content with the goodness of vitamins and minerals. It promises zero cholesterol. All these health benefits make it a perfect choice to fit in the demands of present age customer. And it doesn’t take long to cook. So you can cook fast and eat healthy. 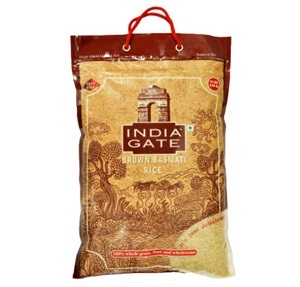 India Gate is a very well known rice brand in India. It is marketed by KRBL Ltd. which is known to be the very first rice company in India. India Gate Brown Basmati Rice comes in two different variants. It promises high content of fiber along with impressive health benefits which make your regular diet healthier and more nutritious. It is a long and fine grain which is known for its impeccable quality and good taste. 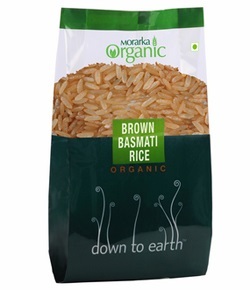 Down to Earth Organic Brown Rice is cultivated and harvested from the organic rice fields located in different parts of India. It is the unpolished grain which retains the mellow color of the bran. This makes it rich in fiber and naturally superior compared with the white rice. This makes for a healthy wholesome meal with a nice mild nutty flavor. The brand promises good taste along with the richness of lots of nutrients which keep you healthy and fit. 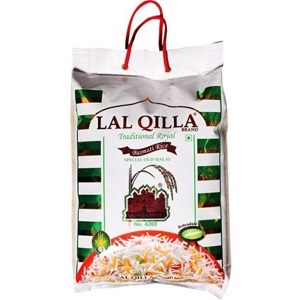 Lal Quilla Brown Basmati Rice is another very popular brown rice brands in India. It is known for its fine quality. It is cultivated on the rich and healthy lands of Himalayan foothills. The grain is rich in health benefits and comes with unique aroma and great taste. The company has trained professional who monitor the process of manufacturing and ensuring that each grain is as per their quality standards. Not just in India, Lal Qilla Brown Basmati Rice is known for its wonderful quality and taste overseas as well. The slender, delicate textured rice makes the best option for healthy rice consumption. 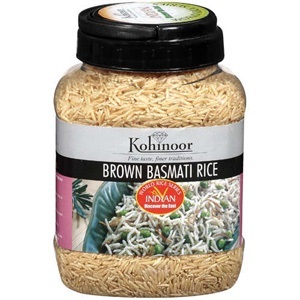 Kohinoor Brown Basmati Rice meets the present day requirements of a healthy and wholesome meal. The un-milled brown rice comes with a mild nutty flavor and is rich in nutrients and fibers. It is packed with the goodness of carbohydrates, calcium, iron and proteins. It is very effective in reducing cholesterol levels. It is derived from the Pusa variety of Basmati. During processing, only the outermost layer of the rice kernel is removed which causes least damage to the nutrition of the grain. It is a great diet for stronger digestion and healthier living. This is another brand for brown rice which is preferred by Indian consumers. 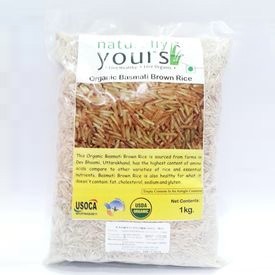 Naturally Yours basmati brown rice is highly nutritious. It is a variety of long and slender grains with a beautiful fragrance. It has its bran and germ layer intact to ensure high fiber content for better digestion. It is surely a healthy pick for anyone and everyone. 24Mantra Sonamasuri Organic brown rice offers medium sized grains of rice which have the layer of bran and germ. It is high in selenium content along with fibers. It is another very nutritious and healthy brand of brown rice which promises good quality and great health. It ensures better digestion and lower cholesterol levels. It is a must pick for a healthier lifestyle. All of the brown rice brands mentioned above in the article rank amongst the best brands in the Indian market. You can include any of these products in your regular diet and live a fit life without having to worry about your cholesterol levels and problems of indigestion. Remember, brown rice is always better than the white rice. So the earlier you switch, the better it is for your health in the long run. u didnt mention protein content and other componets in percentage or grams. so how can u say that india gate rice is good for health.